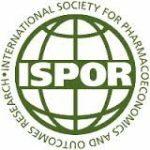 This year Bracket will be exhibiting and presenting at ISPOR’s 21st Annual International Meeting on May 21 – 25, in Washington, DC. This event will discuss information surrounding the science of health economics and outcomes research. Bracket will be presenting new research that focuses on user experience design in electronic clinical outcome assessments, establishing equivalence of electronic clinician-reported outcome measures, and utilizing a BYOD mobile app to collect patient diaries and dosing information in a phase II clinical trial. Bracket is presenting at Booth 106.